We're keeping a running list of ways to help those affected by recent disasters. Please, before you donate, do some research on the organization for yourself to make sure funds will be spent as you intend them to be. Two key pieces of legislation were introduced in Congress to support higher education access and completion for youth and young adults who have experienced homelessness or been involved with foster care. Youth experiencing homelessness and youth from foster care face unique barriers to accessing and completing higher education. 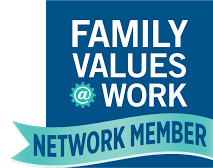 Lack of family and supports, coupled with histories of neglect, abuse, trauma, mobility, and deep poverty, create roadblocks to their path to and through post-secondary education. Yet higher education is their best opportunity for economic independence and healthier lives. The Higher Education Access and Success for Homeless and Foster Youth Act (HEASHFY) was introduced in the U.S. Senate by Senators Patty Murray (D-WA) and Rob Portman (R-OH), and in the U.S. House of Representatives by Representatives Katherine Clark (D-5th/MA) and Don Young (R-AK). Congress is once again looking at ways to change or overturn the ACA. The latest vehicle is the Cassidy-Graham Plan, which we first reported on in July as a proposed amendment to other repeal attempts. Cassidy-Graham would make many of the changes that earlier ACA overhaul promised. Medicaid Expansion, which covers 11 million low-income adults, would end under the legislation. ACA subsidies for low-income people would also be eliminated. In their place, states would receive block grants to cover people who use Medicaid Expansion and subsidies. The plan changes how much money each state would receive, which means states with higher needs may not get enough funding. The total amount of block grants given would be 17% lower than current spending. By 2026, block grants would end, leaving states to determine how to cover people without any funding to do so. 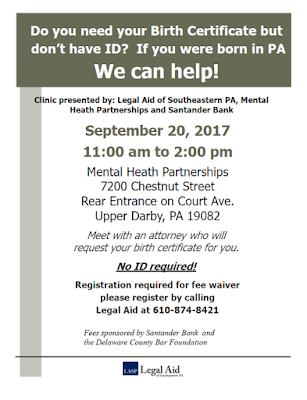 Upper Darby, PA 19082 Meet with an attorney who will request your birth certificate for you - No ID required!